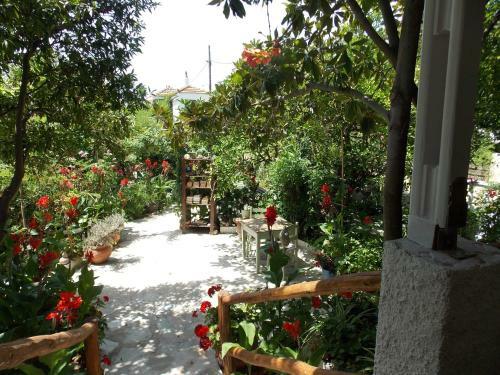 Stamatia`s Garden is 2 Key hotel located in Agnontas, Skopelos. Stamatia`s Garden common facilities include garden	and barbeque. The property provides accommodation in studio, double or twin room and other might be available upon request. The rooms offer garden view. Amenities of the rooms include a/c, fridge and more. In the bathroom there is hairdryer. There is parking in close distance and it is free. Pets are welcomed upon request and extra charges will apply. Fields with * are required. The enquiry is sent directly to Stamatia`s Garden.